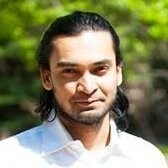 Humphrey Alumni Ashfaqul Chowdhury has joined United Nations Development Programme (UNDP) in Dhaka, Bangladesh as Project Coordinator at Private Sector Impact Data, Innovation Hub. He will work with private sector leaders in Bangladesh to ensure these companies record, monitor and report their social impact data focusing on how core business operations, in addition to the charitable initiatives of the private sector, can contribute to the realization of Sustainable Development Goals (SDGs). He will also collaborate with PricewaterhouseCoopers (PwC) and Business Call to Action (BCtA) to formulate private sector data collection strategy in Bangladesh. Prior to joining this position Ashfaqul has been contributing to the same project through United Nations Volunteers since September 2017. 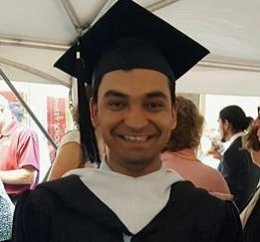 Ashfaqul graduated from Humphrey in summer 2017 where he learnt about data modeling and policy design. His previous experiences include working for Innovations for Poverty Action (IPA), International Food Policy Research Institute (IFPRI) in monitoring and evaluation of development projects. Ashfaqul is passionate about his country and expects Bangladesh to establish itself as a developed country within the next two decades.